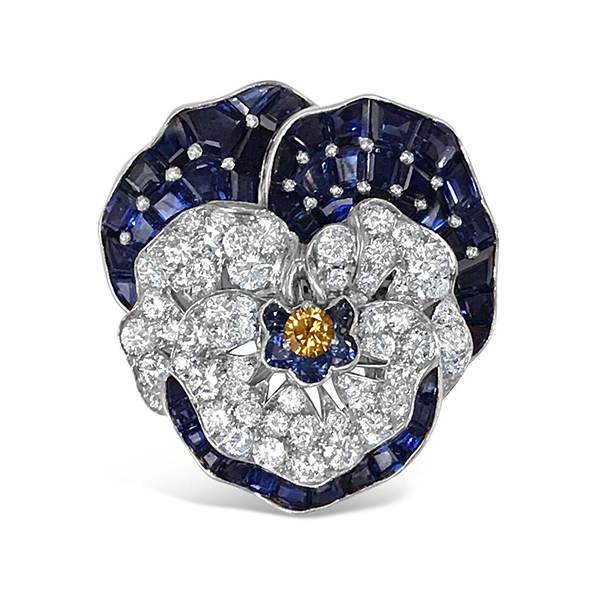 This stunning platinum diamond and sapphire pansy pin features 56 round diamonds with an approximate total weight of 2.68ct. This pin also contains 53 custom cut sapphires with an approximate total weight of 8.29ct. This pansy pin is handmade by Oscar Heymen and comes with a signed letter of authenticity.